When we were a youngster, we can guarantee we weren’t as cool as Lincoln, aka the pop-punk prodigy. 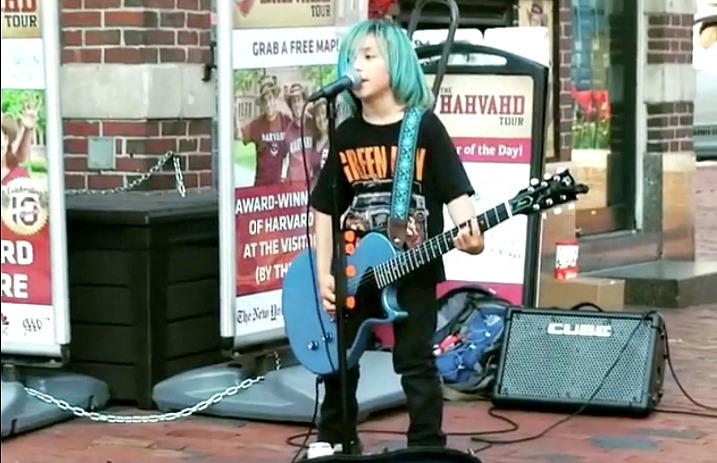 Videos have been surfacing on social media of the now 8-year-old covering Blink-182, and it turns out this kid is destined to be a musician. Last February, Lincoln got his first guitar, and he started lessons a week or two after that. As soon as he learned his first song, all he wanted to do was play—and he does that, at least a couple hours per day. If the family goes out for a few hours, the first thing he does when he gets home is play guitar. And the family haven’t taken a vacation without having the guitar in tow. And, in case you’re wondering, he started out with a kid-sized electric guitar, but he ended up switching it out for a full-sized guitar after about two months. At this point, he can currently play around 40 songs on guitar and vocals—and some of those songs he cam play on bass and drums, too. Since his start, he’s played a couple of open mics, competed in the Junior High Talent Show at his school—even though he was only in second grade—and has performed onstage with Green Day and All Time Low at the House of Blues in Boston—no biggie. Plus he happens to have a band, Color Killer. And he’s done this all before starting the third grade. 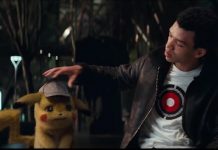 He’s also likely spotted playing for an hour or so in Kenmore Square and Harvard Square in Boston, which is how he came to our attention. So watch a few of his amazing covers, and see our Q&A with Lincoln, below! Who first inspired you to play guitar? My dad always plays punk music in the car. I liked the guitar sound and wanted to learn how to play it. What's the first song you learned to play? It looks like you got to play on stage with Green Day! What was that like? I got to sing “Longview” on stage with Green Day. It was fun. I was nervous. I got to stage dive. Do you want to be in a band when you grow up—or do you even have a band now? Yes, I have a band now. We are called Color Killer. I play guitar and sing. If you could play on stage with any band, who would you pick? I can also play Drums & Bass. I turned 8 last week. I start third grade tomorrow. I got custom guitar picks last week. He has a show booked at the Midway Cafe in Jamaica Plain in Boston on Oct. 21, if you happen to be in the area and want to check out his band. If anything is clear, Lincoln is set to be the next big thing. And hey, Blink-182: If you’re reading this, we’d love to see Lincoln join you on stage sometime! You can give him a follow on Facebook and YouTube now!